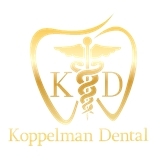 Koppelman Dental (New York) - Book Appointment Online! Just moved to New York and was reluctant to find a new dentist. Office was clean, efficient and ran on time! I was able to fill out my forms ahead of time online and was taken in immediately for X-rays. Dr. Bremnes was professional, knowledgeable and took the time to answer all my questions. I already made a follow up appointment for myself and my husband! Dr. Grossman did an excellent job on a tooth chip. Can't tell! She noted the cost of everything in advance and was not pushy at all. Highly recommended. First class dentist and everything you could ask for as a patient. Seen on time, excellent greeting from staff. Paul was phenomenal - great bedside manner, knowledgeable, and truly cares about the patient. After seeing several different dentists close to my office, I've finally found my new regular. Fully recommend a visit!